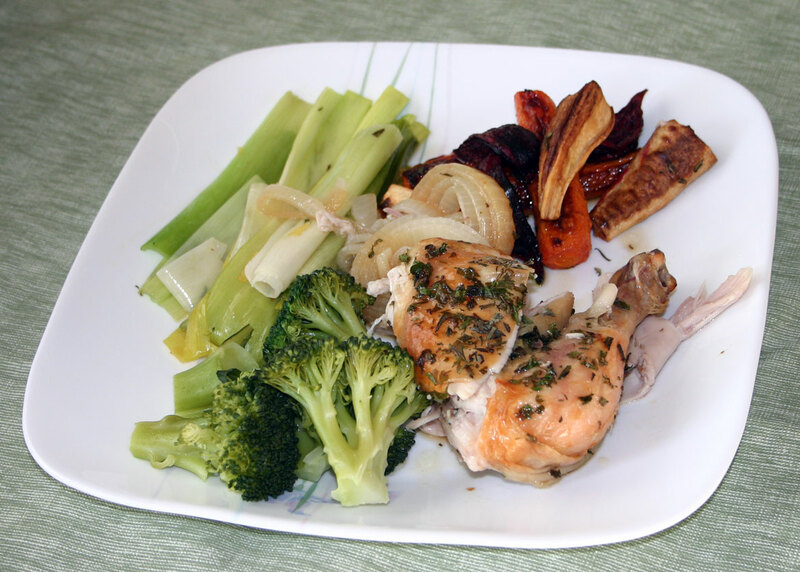 This is a lovely side-dish to serve with roast chicken or fish. It really make the best of leeks, which can be an under-appreciated vegetable. It is worth giving leeks a try though, as they are very good for you. Leeks are a good source of vitamins A and K, along with healthy amounts of folic acid, niacin, riboflavin, magnesium, and thiamin. 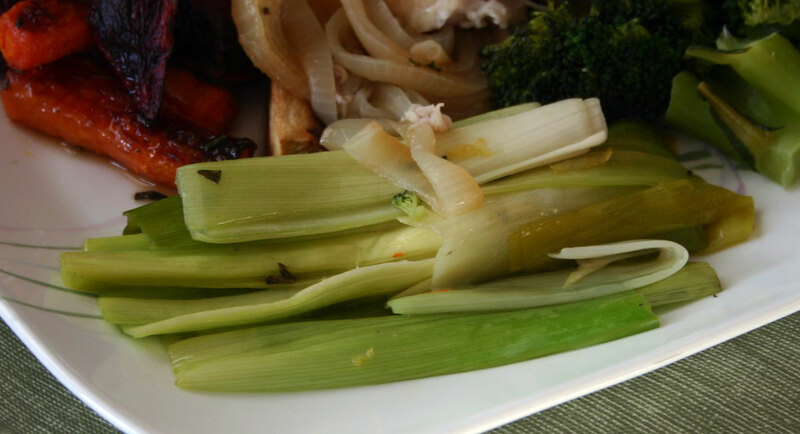 The B vitamins in leeks, in particular, may support heart health by keeping levels of homocysteine in balance (elevated levels of homocysteine are associated with heart disease, blood clots, and stroke). They also contain small amounts of important minerals such as potassium, iron, calcium, magnesium, manganese, zinc, and selenium. 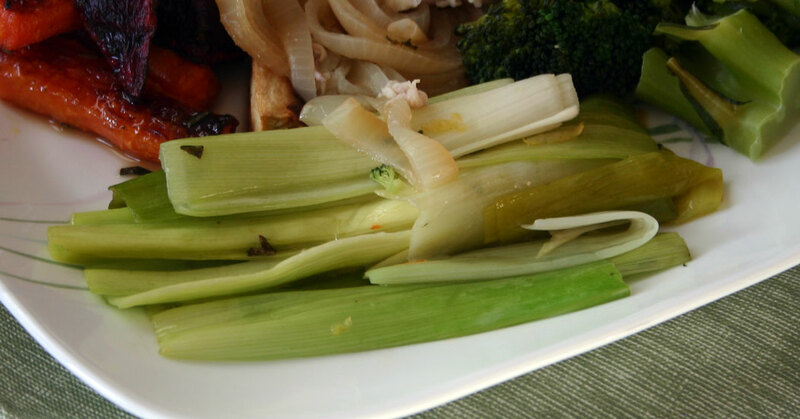 Leeks also provide a concentrated source of antioxidants, even when compared to other antioxidant-rich foods, and the allicin has been shown to reduce cholesterol production in the liver, and has also been found to have anti-bacterial, anti-viral and anti-fungal activities. Trim off the tough outer leaves from the leeks and discard them. Cut the leeks in half and then trim them to aproximately 7″ long. Soak the leeks in cold water for at least 15 minutes to remove any grit or dirt. In a heavy skillet, melt the bacon fat. Drain the leeks, and add them to the pan. Allow the leeks to cook for 5 minutes, tossing occasionally. Add the bone broth, lemon zest and thyme. Allow the broth to reduce, tossing the leeks occasionally until they are tender. I served these leeks along side my Moroccan Lemon and Herb Roasted Chicken, some steamed broccoli and Rosemary Roasted Roots. 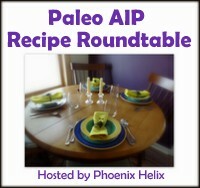 This entry was posted in Autoimmune Protocol Foods, Recipes and tagged AIP approved, Autoimmune Protocol, leeks, side-dish. Bookmark the permalink. I love leeks. They add such a sweetness to vegetable soups and are so luscious in texture.